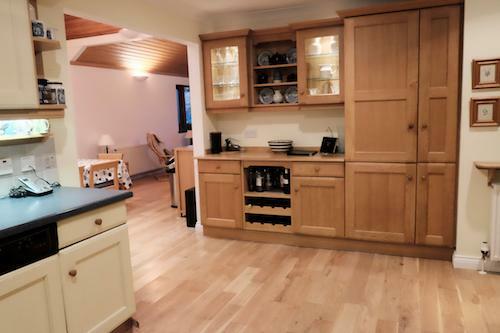 Brackenhill House is situated above the stunning white sandy beaches of Camusdarach and boasts some of the finest views for miles around over to Skye and the Small Isles. 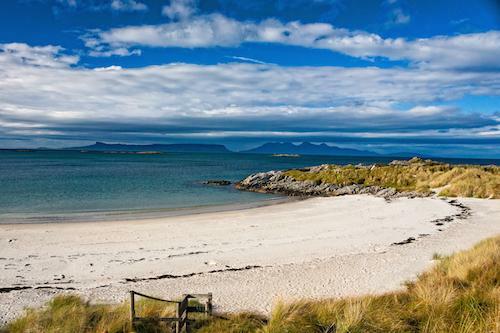 Ideal for families with no roads to cross, a 5 minute idyllic walk along a path from the garden gate brings you out at the top of the sand dunes of the famous Camusdarach beach where miles of breathtaking coastline and hidden sheltered beaches stretch out in both directions. 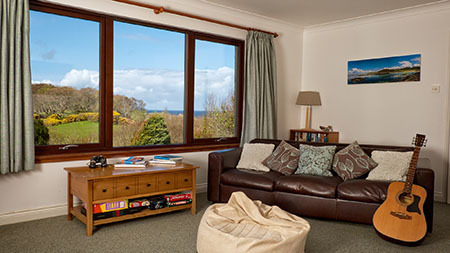 All on one level and purposely extended to make the most of the views and incredible sunsets, Brackenhill House is also a wonderfully relaxing and comfortable base for those seeking a more relaxed and romantic getaway in the Scottish West Highlands. 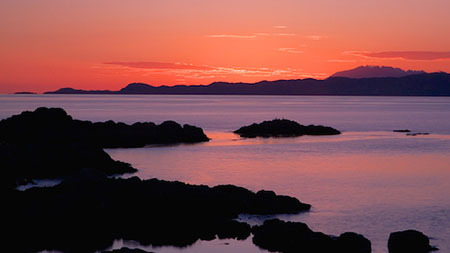 Mallaig and Arisaig are both within a 10 minutes coastal drive and offer a wide range of facilities and attractions as well as running regular boat trip opportunities to explore the local islands of Skye, Eigg, Rum and Muck. Minke whales, basking sharks, porpoises and dolphins are regularly spotted on these trips as well as sea and golden eagles! The four bedrooms will sleep up to 8 people comfortably, comprising master bedroom (sea views) with en suite bath, separate shower and toilet; super king/twin bedroom (can be easily adapted to be either depending on your needs) with en suite shower and toilet; and two further twin bedrooms (sea views). A large, modern and well-equipped kitchen leads into the beautiful family dining room/ sunroom with floor to ceiling picture window looking out over the garden to the beaches and islands beyond. There is a hi-fi system in this room with connection for iPods. 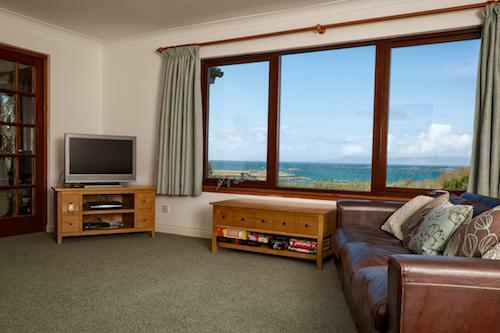 There is a further spacious family lounge with spectacular sea views, an open coal fire, Sky TV, DVD player with a small selection of films and many board games and books to enjoy. 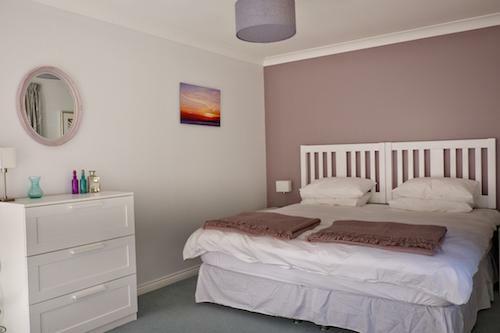 The house is fully double glazed and centrally heated throughout. There is unlimited free wi-fi and a landline for incoming calls. Dogs are very welcome at Brackenhill. Price includes: electricity, oil, coal, unlimited wi-fi and all bed linen and towels are provided. There is a high chair and travel cot and fire safety guard available at the property.